With winter around the corner here in South Africa, the Custom modular seating range from VOX offers the perfect way to relax. This range features modular couches and armchairs as well as a modular coffee table that allows you to create a one-of-a-kind lounge that is designed to suit your space and preferences. 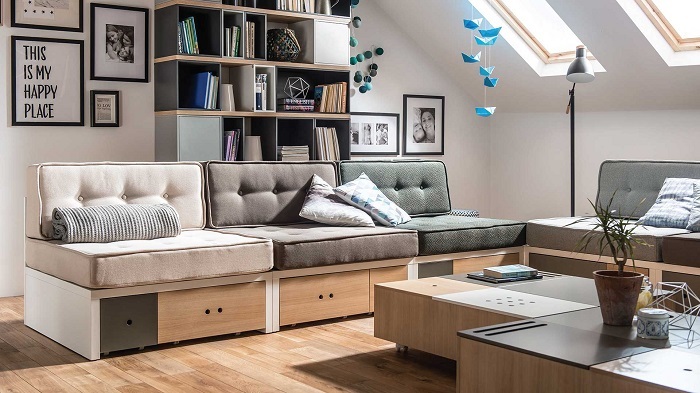 Whether you are looking for a compact solution for a smaller space or a flexible lounge unit that can grow to suit your changing needs, the Custom modular seating range is sure to add just the right amount of comfort and style to your home. First gaining popularity in the 60s and 70s, modular seating has certainly come a long way over the years. This type of seating is versatile and practical, allowing you to build your own lounge suite according to your space requirements. 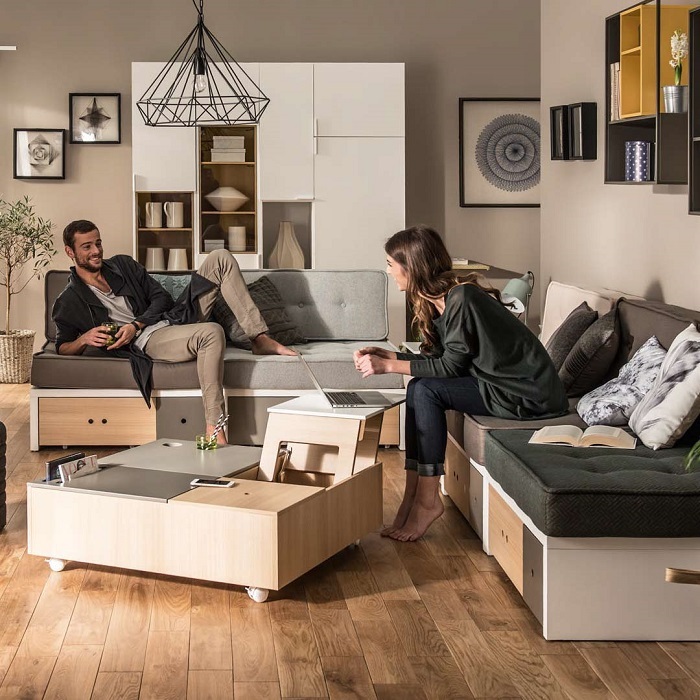 The new generation of modular units has evolved a great deal from their early counterparts, with additional features such as hidden storage further adding to the appeal. What makes modular furniture the ideal choice for living rooms? Keep reading to find out why this type of seating offers a budget and space-friendly solution for homes of all sizes. While corner couch units are a great choice for large living rooms, and small two-seaters and armchairs are ideal for smaller living rooms, modular seating goes one step further by allowing you to customise your lounge simply and easily. Modular furniture can easily be moved to add more space, create cosy nooks, extend living areas and plan out lounges without replacing or removing any furniture. Instead, modular couches and armchairs are arranged to create corners or open areas as needed, with side tables and coffee tables added to further optimise space. As the units are made to be moved, they can easily be adjusted for parties and gatherings, with a variety of configurations to suit just about any type of event. For movie nights, you can create a home cinema setting with a single row of seating. For cocktail functions and leisurely catch-ups, you can create a more intimate corner setting. Add a few throw cushions and snug blankets, or a pouf or two, and you can instantly transform your living room into a warm retreat to escape the winter chills. If you embrace the Danish concept of Hygge, a modular lounge will have you crafting a winter hideout in little to no time. The Custom seating range from VOX includes a Deluxe Corner System, Custom Corner System, Custom Sofa, Custom Sofa with Coffee Table, Custom Armchair and Custom Coffee Table. Cushions and backrests are available in a range of colours, including sky blue, blue grey and beige, allowing you to customise your seating according to your preferences. Browse our full range of living room furniture to find the Custom modular seating range and other essentials for your space.